Whether you want to find out about the standard NC Homeowners Insurance Forms, the standard NC Homeowners Insurance Coverages, the optional NC Homeowners Insurance Endorsements or simply obtain a NC Home Insurance Quote, you’ve come to the right place. Do I Need NC Home Insurance? North Carolina Homeowner’s Insurance is one of the most important types of policies available. More than likely, your home is the largest investment you will ever make. Finding and obtaining the right NC Homeowners Insurance Coverage is important. The fact is, you have numerous choices when deciding exactly how to protect your home. If you don’t own a home, you still need some of the same protections as those who do. For those of you who rent, what would happen if all of your personal belongings were lost in a fire?  This section of allchoiceinsurance.com will help both the homeowner and the renter decide which NC Homeowners Insurance will best protect their respective investments. We will detail the common “Homeowner Forms” available in North Carolina as well as some of the additional endorsements available. Coverage A provides coverage for the actual “structure” if it is damaged by certain events. Coverage A also provides coverage for certain fixtures within home such as the plumbing, electrical, and HVAC system. Most Insurance Contracts dictate that you insure the structure to a minimum of 80% of the “Replacement Cost” of the home. Coverage B provides coverage for other structures on the premises that are not attached to the primary dwelling. Coverage B is normally limited to 10 percent of the Coverage A limit. However, additional coverage can be purchased if needed. Coverage C provides coverage for your personal belongings or the belongings of of your family members who live with you. Coverage C is normally 50 percent of Coverage A (if coverage is also provided for the dwelling under the policy). There are limitation for certain types of “personal property” within the standard policy. Coverage D provides coverage that will help with additional living expenses if your home is damaged by a covered cause of loss. Coverage D is normally 20 percent of Coverage A. Coverage E provides coverage in the event you or a resident of your household are legally responsible for injury to others. This coverage will not protect you in the event of an intentional act. Coverage F pays for reasonable medical expenses for persons accidentally injured on your property. Coverage C provides coverage for your personal belongings or the belongings of your family members who live with you. Coverage C is normally 50 percent of Coverage A (if coverage is also provided for the dwelling under the policy). There are limitations for certain types of “personal property” within the standard policy. Coverage A provides coverage for the actual “structure” if it is damaged by certain events. Coverage A also provides coverage for certain fixtures within a home such as the plumbing, electrical, and HVAC system. Most Insurance Contracts dictate that you insure the structure to a minimum of 80% of the “Replacement Cost” of the home. Guaranteed Replacement Cost Coverage provides for the Replacement Cost Settlement of your home in the event of loss. If your policy has been endorsed with this coverage, the insurance company will pay the difference between what your house is insured for and the actual amount it costs to rebuild the home (subject to certain limitations). Personal Property Replacement Cost Coverage extends the replacement cost settlement to Coverage C of your policy. There are certain limitations, so be sure to ask your agent for further information. This is endorsement specifically covers “high value” items that tend to be more mobile than most items of Personal Property. Most often, this endorsement is thought of in terms of insuring jewelry! The Watercraft Endorsement extends the liability coverages provided under Coverage E & F if your policy. Most North Carolina Homeowners Insurance Carriers now offer some form of Identity Theft, Identity Recovery, or Identity Fraud Insurance that can be added (endorsed) to your existing Homeowners Insurance Policy. Please note, each carrier offers a slightly different endorsement. You should ask your agent for more information about exactly what protection you are being offered. While adding the Identity Coverage Endorsement to your North Carolina Homeowners Insurance Policy is recommended, please be aware that these endorsements do offer limited protections. At ALLCHOICE, we have reviewed many Identity Protection Plans (outside of the Identity Endorsement on the Homeowners Policy). Through our own research, we recommend the Identity Program offered through Pre-Paid Legal Services, Inc. To find out more about Pre-Paid Legal Services, Inc. and their Pre-Paid Legal’s Identity Theft ShieldSM , or any of their other services, please contact one of their representatives. Disclaimer: ALLCHOICE Insurance is not affiliated with Pre-Paid Legal Services, Inc. and is in no way compensated by Pre-Paid Legal Services, Inc. or any Independent Agent of Pre-Paid Legal Services, Inc. These sample coverages are not “standard”. Please review your individual carrier’s actual endorsement. Identity theft is a criminal event that occurs when one person takes personal information from another and uses it to open new credit accounts, purchase vehicles, apply for loans, credit cards or social benefits, establish services with utility companies or rent dwellings all in the victim’s name without his or her knowledge.What is the difference between credit card fraud and identity theft?Fraudulent charges on a credit card or ATM card, forged checks, counterfeit money or criminal deception may be a sign of fraud, but it may not indicate that a person’s identity was stolen. True identity theft occurs when a thief uses a victim’s personal information to open new credit accounts, purchase vehicles, or apply for loans (for example).Some Insurance Carrier’s Identity Endorsement provides protection for both fraud and identity theft.What are the benefits of case management services?You can drastically reduce the time spent restoring your identity with the use of Case Management Services. The Case Manager will work on you behalf to: call creditors, obtain and review credit reports, contact the Social Security Administration or other government departments, and prepare letters to creditors. How much does the endorsement cost? While each carrier is different, the price for most Identity Endorsements range from $20 – $50 per year.